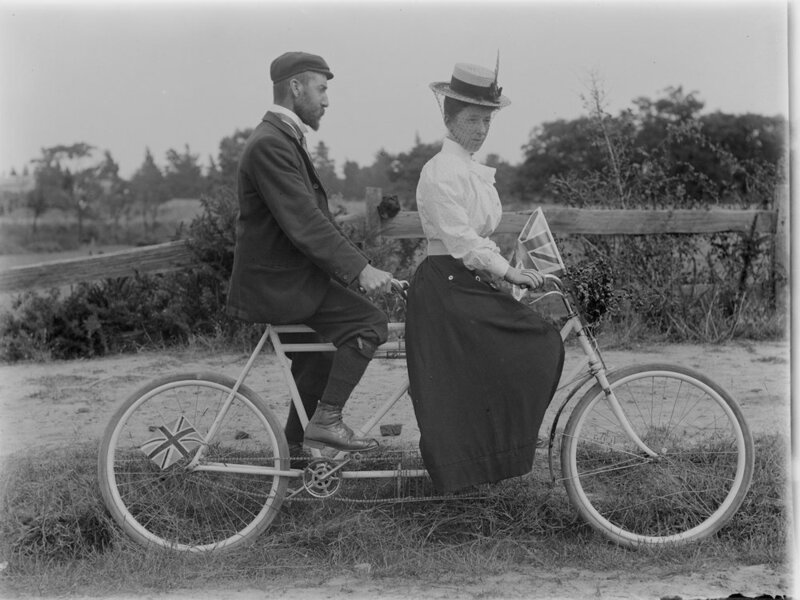 Mr and Mrs Hanify on tandem, 10 March 1900, State Library Victoria. 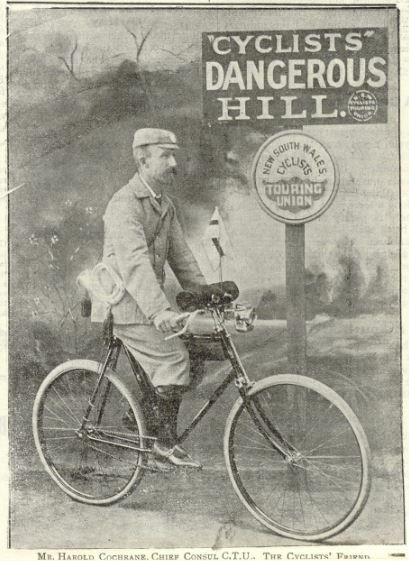 616 issues of the Australian Cyclist journal have recently been digitised and made available to view online. Perfect for cycling enthusiasts or vintage bicycle buffs, the Australian Cyclist advocates all aspects of the bicycle, and included advertisements for local bike shops and depots, reviews of road races, programs of racing events, local league notes and, of course, cycling club gossip. 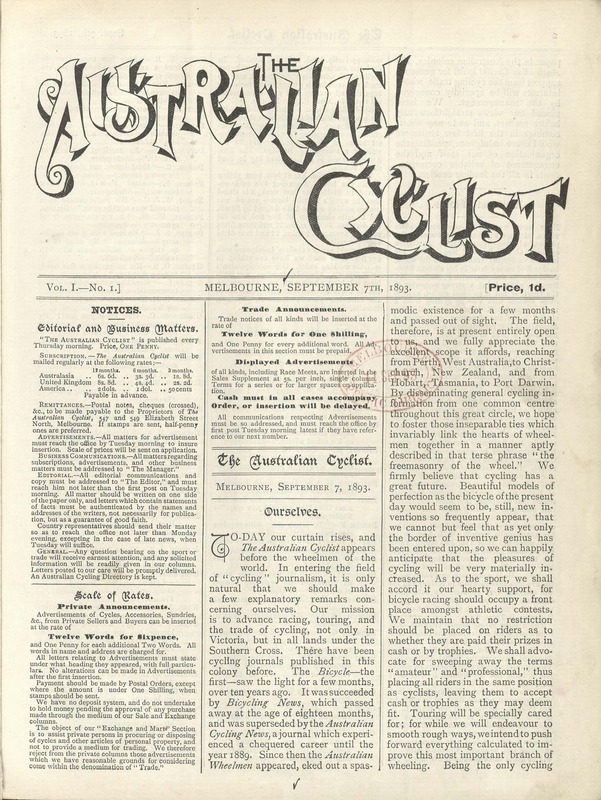 The first issue appeared in Melbourne on 7 September 1893, and would eventually progress into advocating for the start of the motor-car. 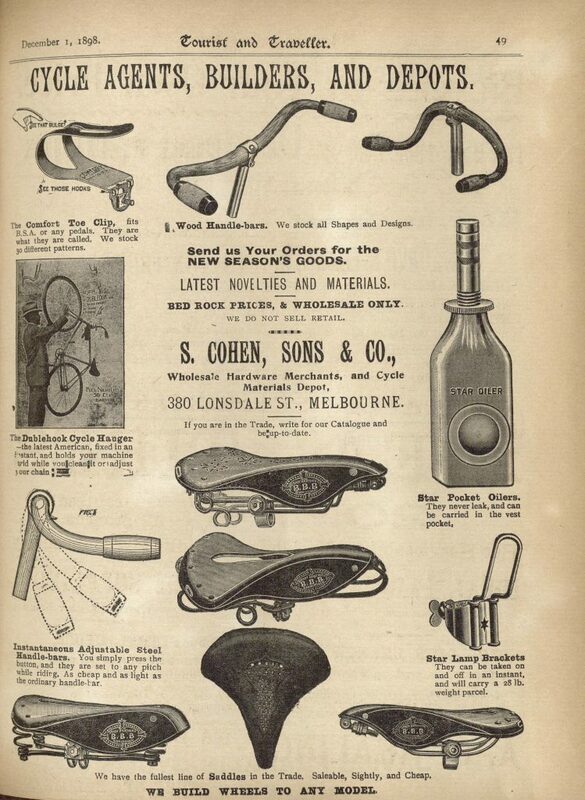 Detail from the Australian Cyclist 1898 Volume 6 Issue 14. Thanks to our Collection Digitisation team and other collections staff, the journal is now available to view and download online. You can access and search the journal as part of our Popular digitised collections page, or via our catalogue using the usual ‘View online’ option. Read more about other journals in our collection. The Library also holds numerous photos of cycling in Victoria within the Pictures Collection. Our digital image pool is a great place to start your image search. 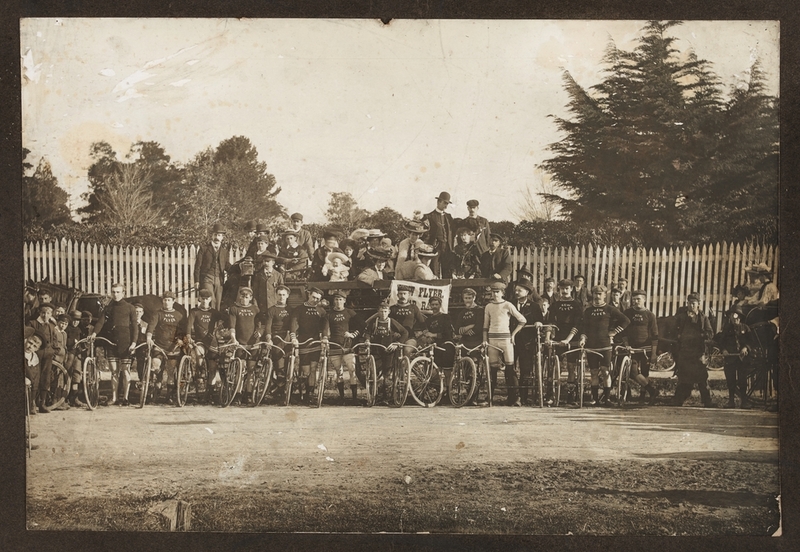 Kew Flyers Bicycle Club, 1890–1900, Blakeley family collection, State Library Victoria. More people are using this Library than ever before. Every year, around two million people come through our doors to think, learn, debate, create, discover and dream. Millions more visit us online. Over the next three years, we will create 40% more space across the Library for you, our readers, friends and visitors. We will create three new reading rooms, re-open the historic Russell Street entrance, build a world-class exhibition gallery, open a dedicated Children’s Quarter and strengthen connections with regional Victoria. We've always been free and we'll stay that way, but right now we need your support to build a better Library for you and future generations. I’m a member of the History and Heritage committee of Cycling Victoria where we are compiling an archive of Bike Racing in Victoria. We believe this series will be invaluable to our research – thank you very much. We are also interested in the Stan Mullaney collection of Australian Cycling History – Is it possible for me to arrange an appointment to view the collection? Fantastic stuff. Currently reading “Wheeling Matilda” by Jim Fitzpatrick so perfect timing for more early Australian cycling history. This is a wonderful initiative, looking forward to reading these. I would rather be the historian who reads about these bikes than spend $12,000 on a bike or ride 600 km in one day.